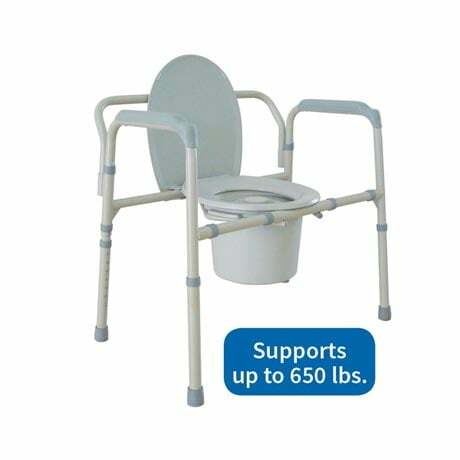 This Bariatric Commode holds up to 650 lbs and assembles in 3 steps without tools! 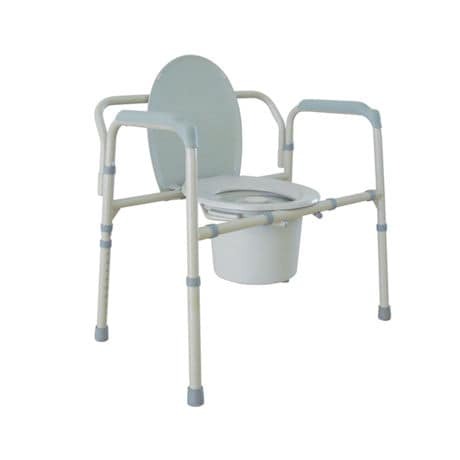 This commode is easy to use on its own with the included 12 quart removable bucket with handle and splash shield. It can also be used as a convenient support over the toilet after removing the bucket as the seat adjusts from 15.5"-22" high. There's a generous 24" of room between the armrests. Entire unit folds up for storage. Ships directly from the manufacturer. Color is Gray. Please note that there is an oversized shipping charge for this item of $10.